Besides art paper, uncoated paper and coated one side paper, we also have many different special papers. For example, parchment paper, texture paper, tracing paper, arlin paper etc. different color papers, silver surface paper, gold surface paper and so on. These papers are used for doing covers, end sheets, cards, dust jacket, presentation folder etc. For these special papers, it also has different weight. The special paper weight is from 70gsm to 400gsm for choice. Different paper suppliers produce different special papers. And each supplier has more special papers. We can provide more than hundreds special papers for you to choose. If you have any special paper request, please contact our printing expert. 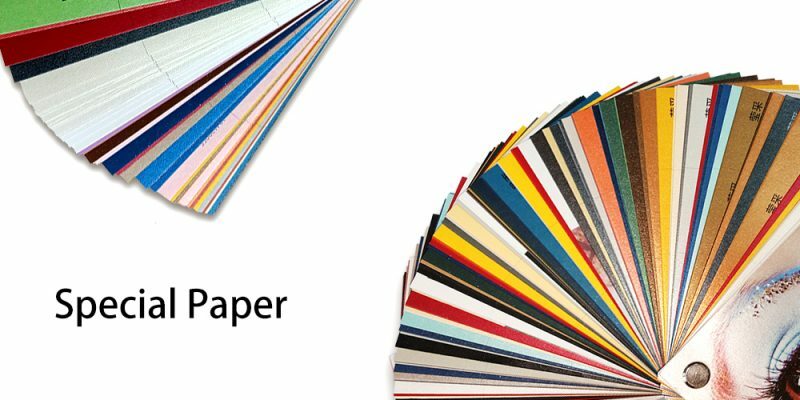 We can send free paper sample to you and we will recommend the best paper solution for your printing project. Email us or call us right now!